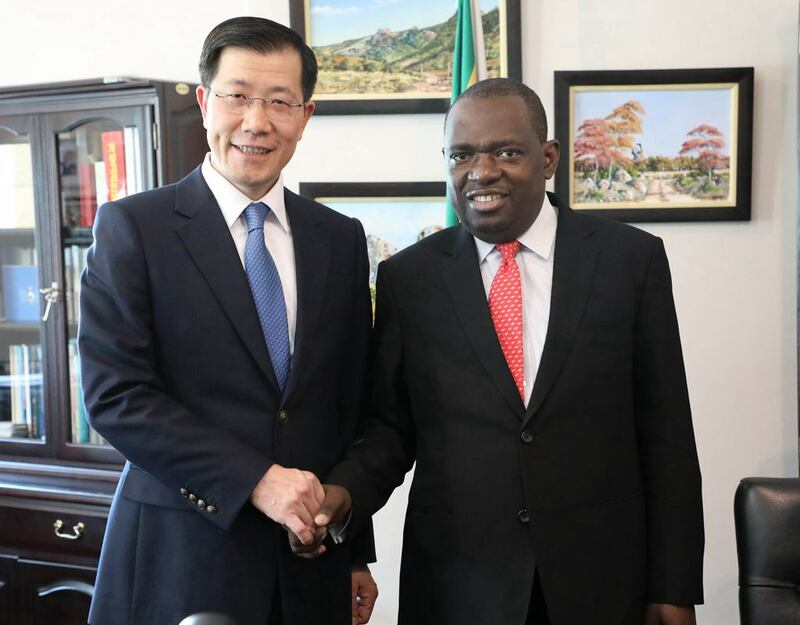 On March 14, 2019, new Ambassador extraordinary and plenipotentiary of the People’s Republic of China to Zimbabwe Mr. Guo Shaochun presented Credentials to President Mnangagwa. The two sides had an amicable and in-depth exchange of views on China-Zimbabwe relations. 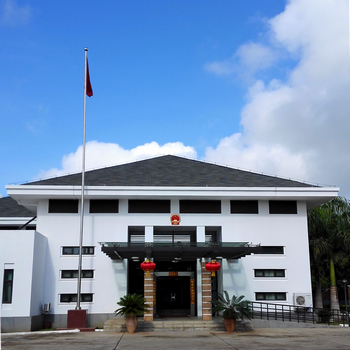 Ambassador Mr. Guo Shaochun first conveyed cordial greetings and best wishes from H.E. President Xi Jinping to H. E. President Mnangagwa and expressed his appreciation to President Mnangagwa for the swift arrangement of the presentation of credentials in less than one week’s time after he arrived in Zimbabwe, which fully reflected the importance that President Mnangagwa and Zimbabwean government attached to China-Zimbabwe relations. 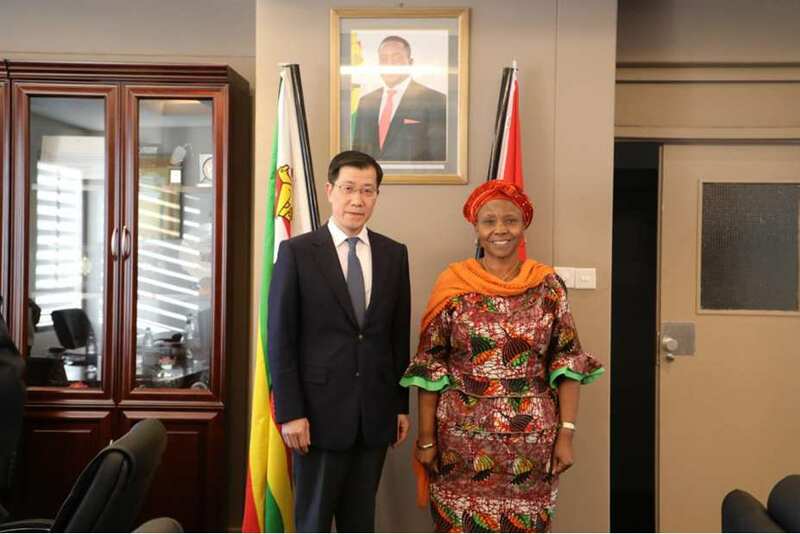 Ambassador Mr. Guo spoke highly of the achievements of China and Zimbabwe’s cooperation in recent years, emphasized China and Zimbabwe are respectively facing important development opportunities and the potential of cooperation between the two countries is great. 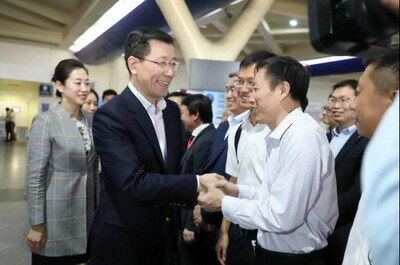 He hopes the two sides could continue to make efforts on implementing the consensus achieved between the leaders of the two countries under the framework of the initiatives of the Beijing Summit of FOCAC and the initiative of the Belt and Road, deepen practical cooperation in the fields of agriculture, manufacture, mining, finance, infra-structure construction etc. in an effort to bring China-Zim comprehensive strategic cooperation partnership to a new and higher level. 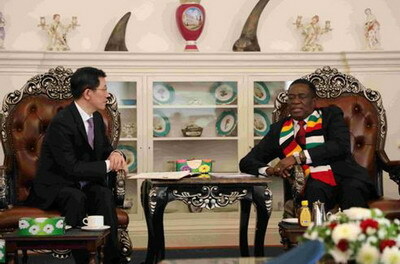 President Mnangagwa warmly welcomed Ambassador Mr. Guo for his new post and congratulated Ambassador Mr. Guo on his arrival at this critical time of development of Zimbabwe-China relations. President Mnangagwa recalled the days when he was trained in China in the 1960s. He expressed his great appreciation to China for the long term precious support provided for Zimbabwe Economic and social development. He emphasized Zimbabwe attached high importance to Zimbabwe-China relations and Zimbabwe would firmly uphold one China policy and work with China to speed up the implementation of the FOCAC Beijing Summit outcome and the Belt and Road projects to bring more benefits to the two people. 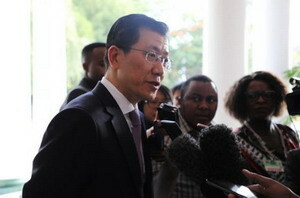 After the meeting, Ambassador Mr. Guo Shaochun accepted interviews from China and Zimbabwe Media at the President’s Office. Zimbabwe National TV and the biggest Newspaper The Herald reported in details on the above event. Ambassador Mr. Guo Shaochun’s wife Wang Wei, Minister of Foreign Affairs Mr. Sibusiso Moyo, Permanent secretary of the Ministry of Foreign Affairs Mr. Manzou, Director of Asia-Pacific Department Mageza were present at the Ceremony of Presentation of Credentials. 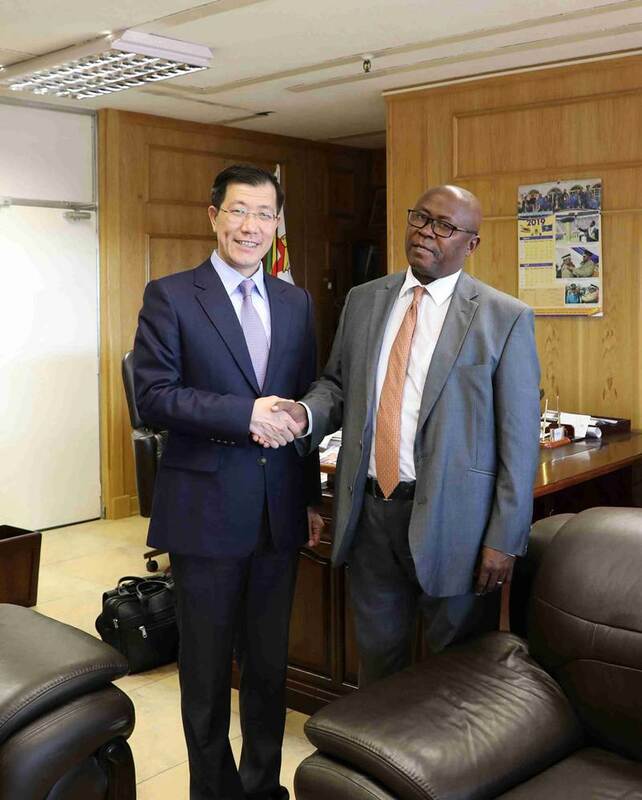 Ambassador Mr. Guo arrived in Harare, the Capital city of Zimbabwe on March 8th, the copy of the letter of credence was presented to the Minister of Foreign Affairs Mr. Sibusiso Moyo on March 13th.